At Comfort Masters Company, We Set the Standard for HVAC Repair, Installation and Maintenance Excellence. Our commitment to fast, friendly and professional service has earned us countless lifetime customers with us. Comfort Masters Company is a family-owned and operated business that prides itself on providing honest, professional and reliable air conditioning and heating services for residents and businesses throughout the Las Vegas Valley. Our local firm began in 2002 and our founding company in Chicago was opened in 1969. The company’s goal has remained the same since 1969: to establish long-term relationships with our customers by providing them with the best value and service and by constantly exceeding their expectations. Our core values are a combination of honesty, integrity and professionalism. We apply these values across all aspects of our business so that our customers receive cost-effective solutions and straightforward answers to all of their home or business comfort needs. We have serviced many residential and commercial customers with most of our work coming directly from customer referrals. 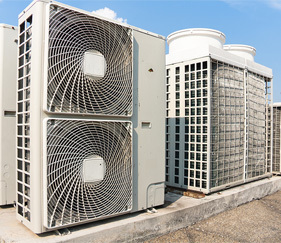 Our services include maintenance agreements, emergency HVAC repair, equipment replacement, engineering design and complete heating and air conditioning installations. All new installations are completed by technicians who are neat, clean and courteous. Only our professional employees will work on your project! We never use day laborers or subcontractors to perform any HVAC service or repair. We respect your property as if it were our own, which is why we wear shoe coverings and lay down drop cloths to protect your floors and belongings. Our recommendations for any HVAC repairs are based on factual diagnostic information that we analyze as part of our service. This procedure ensures that you will never be recommended something that is not needed. In addition, all of our recommendations are in writing with the factual basis for the recommendation. We do not pressure you to make any decisions at the time of the service call or maintenance check. We simply present the information and you can decide when it is right for you. Contact us today and see for yourself why so many Las Vegas residents and businesses trust us with all their heating and cooling needs!